We all have those daily tasks, appointments, emails, and chores that need to get done, but how do you keep track of them all? 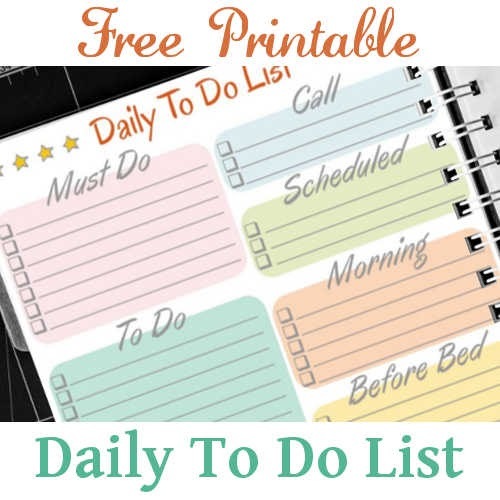 This free printable daily calendar page will help you keep everything organized and in one place. This free printable has it all. A section to write your to do list and divide your tasks between important tasks, morning tasks, and tasks that must be done before bed. There is also a section for calls to make and appointments. The water section helps you keep track of your daily water intake. 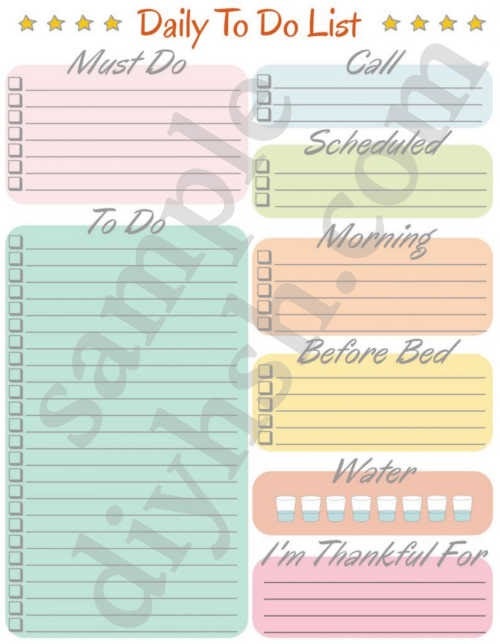 The last section on the page is an area for you to reflect on your day and write down what you are thankful for. I find that this helps to add the day on a positive note. Editors note: This post was originally published January 2013, updated Feb 2018 with new photos and updated links. Great idea Samm! It would make things so easy to have all that info in one place. I love this one especially the thankful section. A great reminder to think about what I am grateful for. Already printed and saved. Thanks so much! Thank Kathleen. That is my favorite section too! 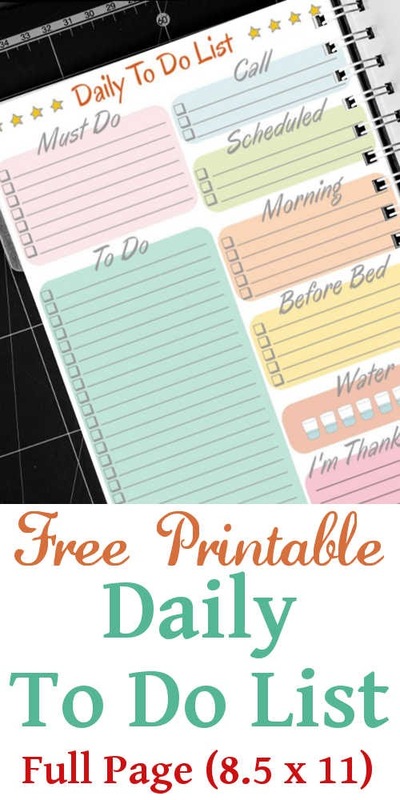 Another great way to keep our day organized! I really like the "thankful" section. Don't mean to be downer but 'Schedule" is spelled wrong. Thanks again for the great free printables. Thank you Sue! Spelling errors are fixed now! Glad to hear that you are enjoying these printables. Thank you so much! Love the colors. I love your printouts so very much! Thank you for helping me get organized! Thank you so much for the printouts. I absolutely love them! Thank you so much for that great list.